Ever since last month, we’ve been noticing the UK charts have been looking a little… same-y. Britney Spears was honoured with the first-ever Icon Award at the Radio Disney Music Awards on Saturday night (29Apr17). Michelle Branch’s earlier attempts at a comeback were shelved by her old label Warner Bros. Records. Katy Perry surprised fans in New York on Friday (28Apr17) by handing out cherry pies. A biopic about Whitney Houston and Bobby Brown's tragic daughter Bobbi Kristina Brown is in the works. Mick Jagger has paid tribute to his late girlfriend L'Wren Scott on what would have been her 53rd birthday on Friday (28Apr17). Actress and singer Kristin Chenoweth is ready to start a family. Jennifer Lopez and Alex Rodriguez added some charity work to their romance during a trip to the Dominican Republic. Faith Hill was left in tears as she surprised a young fan who wanted to sing with her earlier this month (Apr17). The Spice Girls ‘GEM’ reunion is apparently back on, followingMel B’s split from her husband Stephen Belafonte. 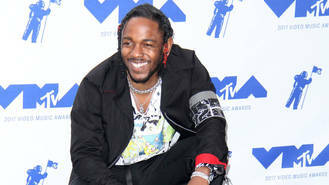 Rapper Kendrick Lamar has recruited actor Don Cheadle to portray a police detective in the video for his new single DNA. Adele and Coldplay will compete against each other at Britain's prestigious Ivor Novello awards. Adele will go head-to-head with Coldplay at this year’s Ivor Novello Awards. Katy Perry has credited therapy for changing her life. New Kids on the Block star Joey McIntyre has January Jones to thank for helping him get his new TV series picked up. Troubled singer Chris Brown is facing accusations he assaulted a photographer at a club in Florida on Monday (17Apr17). U.S. federal agents raid home of Mel B's estranged husband in search of illegal guns. Bob Dylan has finally received his Nobel Prize for Literature after several months of delay. Glastonbury will remain at Worthy Farm in Somerset. Liam Payne is reportedly keen to tie the knot with his girlfriend Cheryl but is wary of piling “too much pressure” on her. Chance the Rapper has contributed another great gift to Chicago Public Schools by starting a fund for literature and the arts.